Scramble from Goodwood Aerodrome with your partner into two waiting Spitfire TR9’s to intercept an errant ME109 (Bouchon) over Selsey Bill. 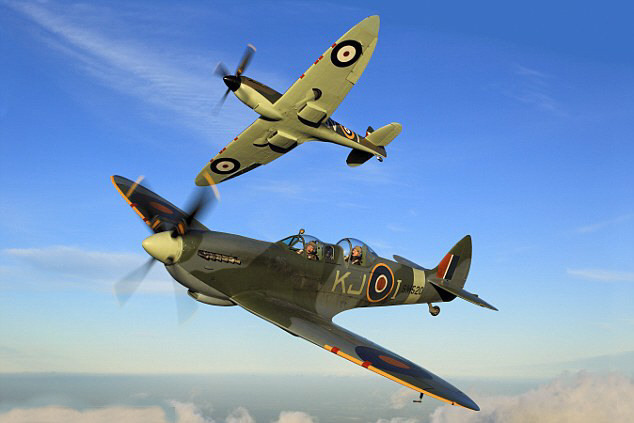 You’ll get three hours of ground school with fighter pilot instructors discussing how aerial combat is fought, the advantages and disadvantages of the Spitfire over the ME109, and the purpose of a wingman; one hour brief on Safety Equipment and Emergency Procedures including abandonment and forced landing drills; pre-flight brief; 40 minutes in the Spitfire (30 minutes airborne) alongside a second Spitfire TR9 occupied by your partner. This time will include a demonstration of the skills required to lead an attack on the ME109 (Bouchon), and then act as wingman while your partner acts as leader, post flight brief. Please note: You will experience 3G (3 times the force of gravity) continually on these flights. If you are susceptible to motion sickness then please consider carefully.